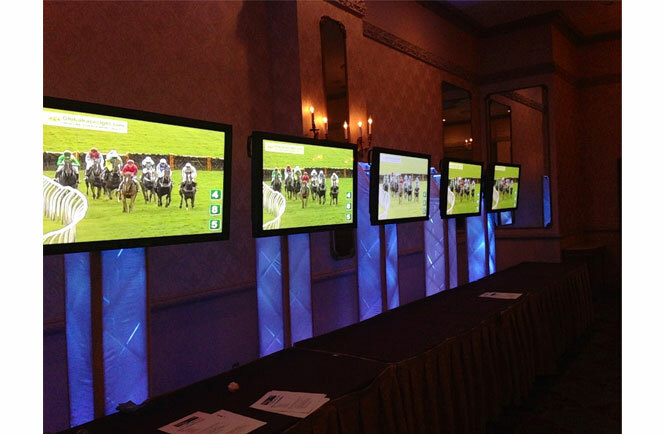 Using High quality, authentic Horseracing footage and our 19ft Chrome Truss w/Five 27 inch monitors, guests can win prizes by placing “fun bets” on their favorite horse. Includes prizes and themed dressed attendant. (3) 6' FT. Tables Skirted. We use actual horse racing that’s been videotaped using five cinematography cameras and narrated from start to finish by many top-rated announcers. We’ve captured all the suspense and close-up action that enable you to create an exciting and thrilling “fun” and fund-raising event. Just imagine the reaction of your audience as they root, cheer, and shout for their favorite horses from the start of the race to the finish line. Without a doubt, everyone will be hanging onto their seats as A Night At The Races turns your fundraising party into a rousing success. We supply you with up-to-date action-packed footage that is played on 42-50 inch monitors (Various package are available) that are elevated on a Chrome Trussing Unit. Whatever format you choose, we assure you that nobody knows the winners. 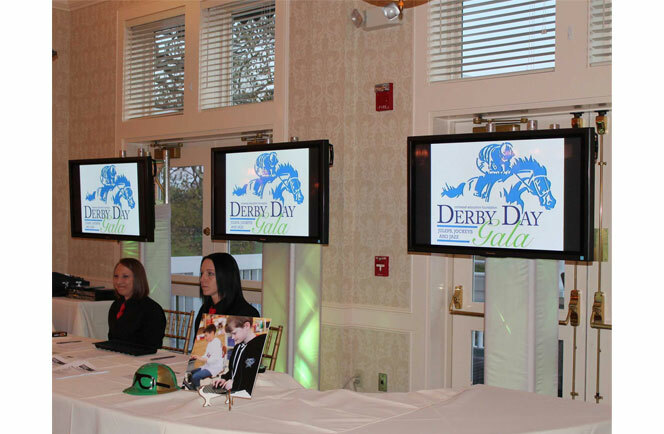 Along with our races we also provide you with Official Race Programs, Wagering Tickets, Daily Doubles, Funny Money and easy to understand instructions. 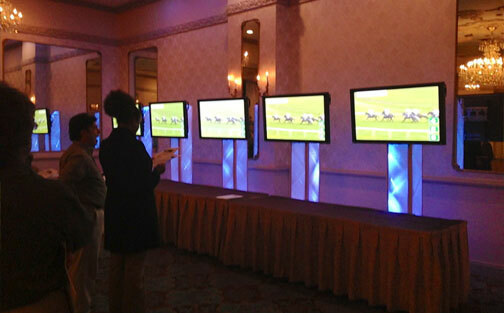 All the supplies we provide enable your organization to create an exciting entertainment event. 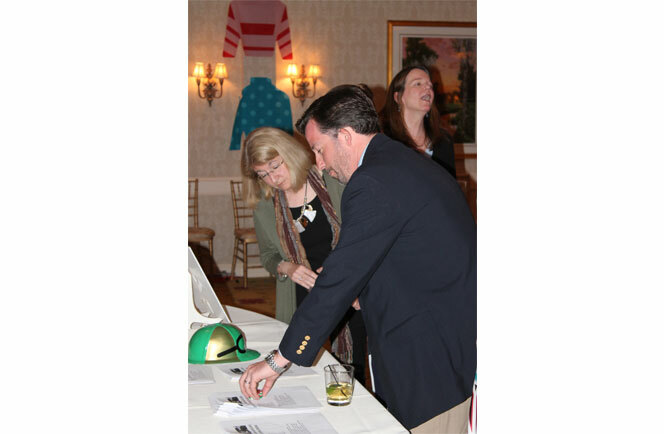 Your guests wager “funny money” on the races and receive a “drawing ticket” or additional “funny money” if they win a race. 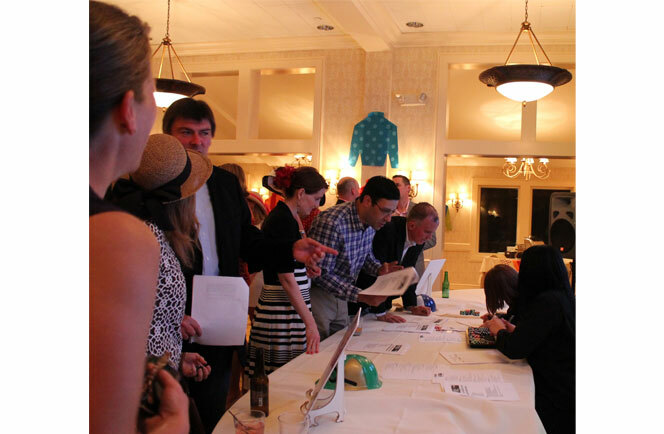 At the end of your event a drawing or an auction is held for prizes. 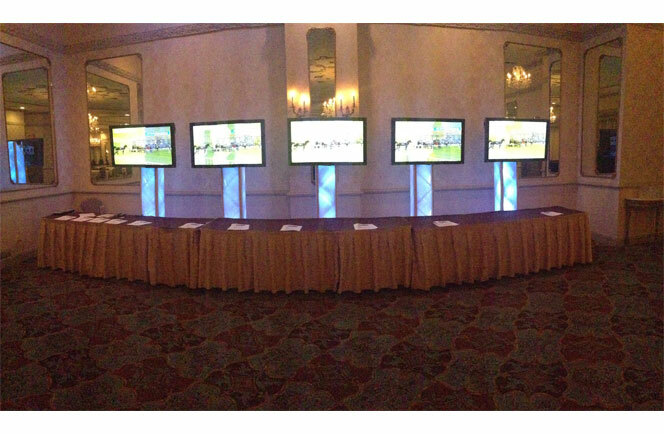 The various methods we offer for prize control and distribution make your event even more fun than you could ever imagine!